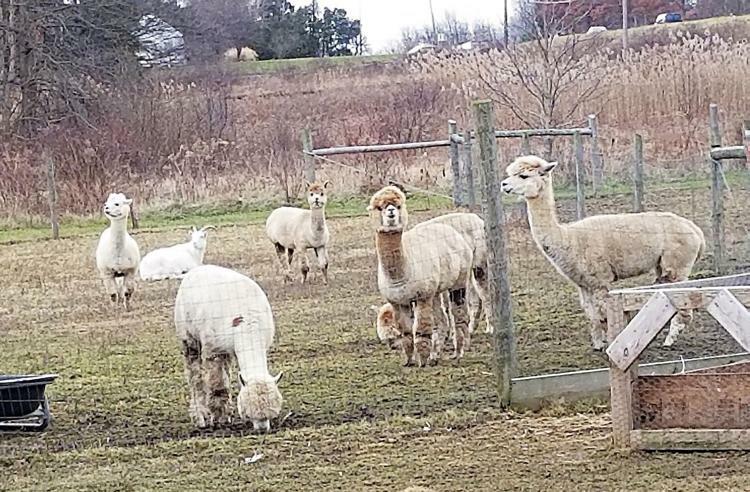 New Castle News: People with special needs have variety of options at Farmer Casey’s Ranch : Golden String, Inc. The picturesque red buildings, a 9-acre lake, geese grazing in the grass and live farm animals deliver a peaceful setting. 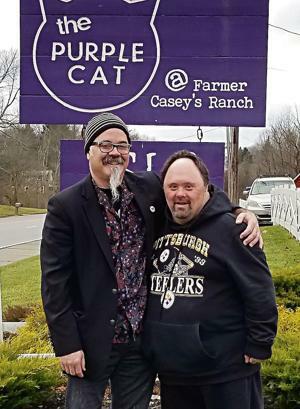 Farmer Casey’s Ranch, part of the Purple Cat group and its largest location, is a day-program vocational facility in Coitsville that allows ample opportunities for each person with developmental disabilities to achieve his or her potential. Mr. Rogers, who exemplified kindness, would be so proud. 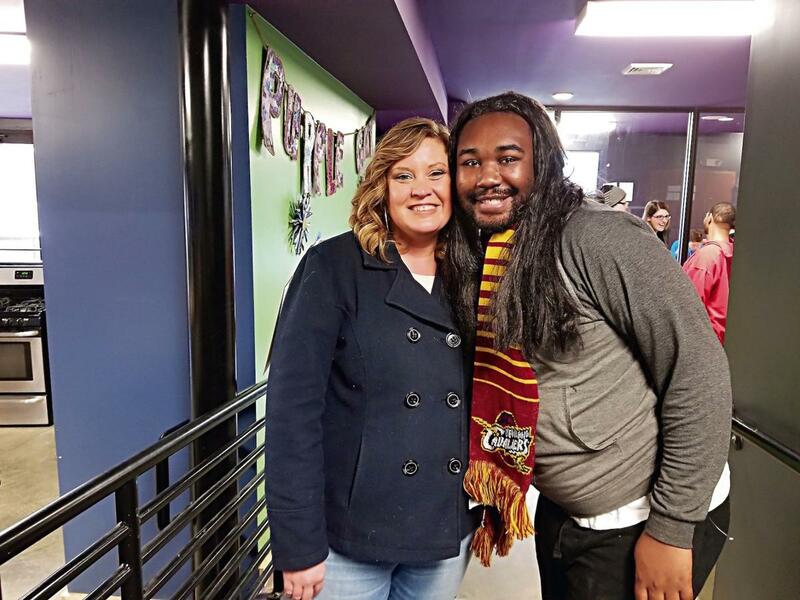 “Work Hard, Be Kind, Have Fun” is the motto of the Purple Cat — there are six other locations — and the organization has continually expanded since it was established about 17 years ago to offer alternative day programs for adults. 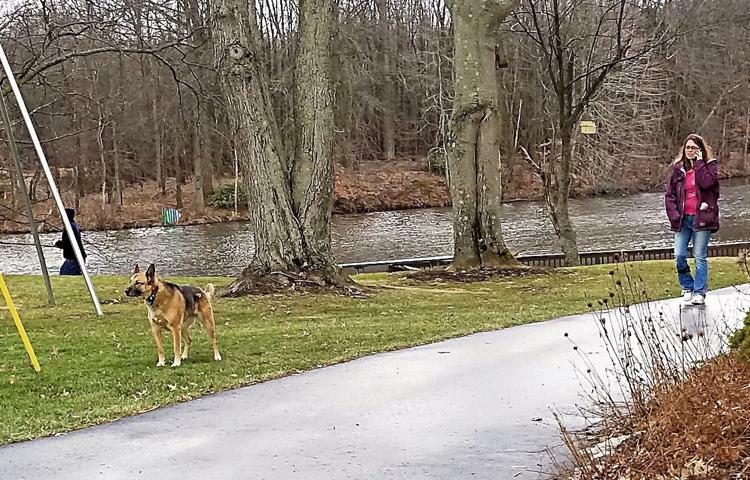 With 52 beautiful acres that include the lake for fishing and canoeing —and is just an overall scenic spot — there’s more in the works. Grant money has been awarded to build a camp with a lodge, cabins, a fire pit, horse barn and swimming pool. It’s kind of hard to imagine that the main building was a used car dealership for years and was originally a farmhouse built in the 1920s. The trees are bare now but in just a few short months, the foliage will fill in and present scenes that are photographic worthy. In the summer, clients plant a garden and produce is sold from a store on the premises along with honey that comes from the apiary at Farmer Casey’s Ranch. An adjacent building has been transformed into a woodshed, which allows for even more options to pursue. Alpacas stuck their heads over the fence to observe visitors, peacocks strutted their stuff, donkeys were friendly, goats napped, the turkey and chickens moved from place to place and the pigs were a little shy this particular morning. A couple of dogs roam about, and inside, cats leisurely stroll around. It’s certainly the perfect home away from home. Interaction with the animals is therapeutic, noted James “Jimmy” Sutnam Jr., who with his now-wife, Jill Perencevic, founded the Purple Cat. It was a new way of thinking in what could be offered beyond the county-run workshops. Jimmy’s vision was an expectation of “folks doing more” and that includes weekly field trips to the movies, YMCA or shopping, for instance, and for individuals to be more themselves. This particular facility is one that best suits the needs of the individual, pointed out Jessica Beasley, assistant director/facilitator, adding that each client has an Individual Service Plan. At Farmer Casey’s Ranch, more than 230 clients attend day services including about 10 from Lawrence County. “The adult day Medicaid-driven program for adults over the age of 18 is for socialization and vocational training,” Jessica told me, noting that some have paid jobs on the premises include agriculture, building maintenance, food service, lawn care, snow removal, animal care and office work. At another site, 25 adults with disabilities are employed at Gallagher’s Lunch Bucket, also part of ISLE, which is Iron and String Life Enhancement Inc., and the Purple Cat is under its umbrella. Jimmy refers to ISLE as the mothership, and he is excited about the 32 acres that is parceled off for the camp, which will be located along the tree line. Groundbreaking is expected to occur in the spring. ‘It’s quite an extension,” Jimmy said, “There will be handicapped accessible pathways and pathways around the lake, too. Everywhere, on a typical mid-morning, there’s a buzz in the air with activity going on not just outside, but inside, too. Hugs. You see lots of hugging. I received one from Tyrel Grant. There’s waving. And smiles come easily from staff and participants alike. Individuals move from place to place, similar to a school setting to work in creative arts and develop talent in areas of ceramics, painting, theater, music, drawing, writing, jewelry making and sewing crafts. Purple Cat creations are handmade products by artists with disabilities, and proceeds are paid to all Purple Cat clients. “We work with everyone’s abilities,” Jessica said. In one room, a group had fashioned button art and were painting snowflakes. In another, Jen Sweet of New Castle was having lunch with some friends. There’s even an online radio station, Golden String Radio. Walter Mootz is a big-time fan of Elvis Presley, has been to Graceland and at 5 p.m. on Tuesday, he plays songs and sings, too. That’s in addition to two jobs he holds. When asked about his favorite Elvis song, Walter thought for a few seconds and responded, “Sweet Memories.” The radio station is definitely his favorite feature of the Purple Cat. 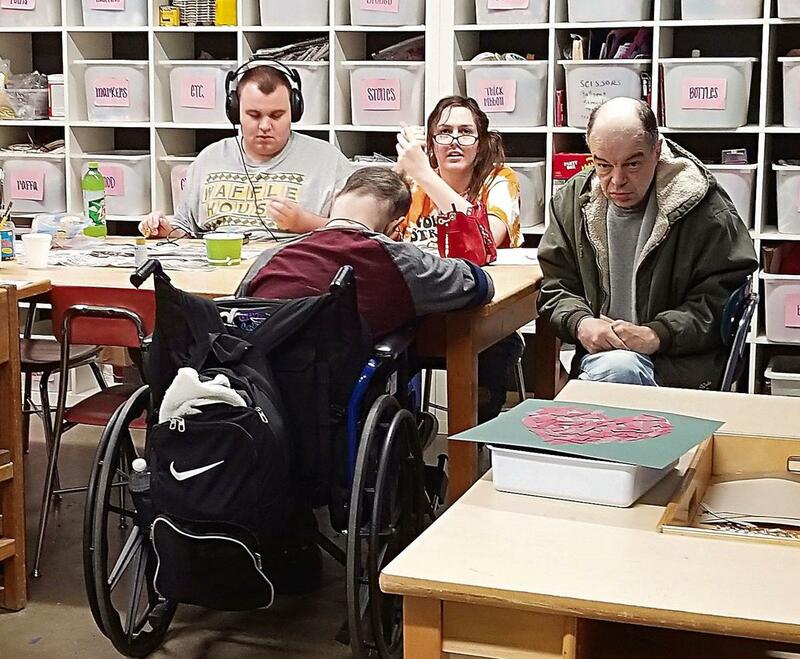 ISLE provides residential services, respite staffing, transportation, vocational training and day programming to persons with special needs in Mahoning and Trumbull counties in Ohio, and Mercer and Lawrence counties in Pennsylvania. It’s also a chance to learn healthy eating, exercise, pedestrian rules, reading and computer usage skills that promote independence. The hope of Jimmy and Jill to have a creative place where kindness is extended to one another has been realized.